Russian businessman and billionaire Roman Abramovich has decided to stop funding soccer in Russia. The social project established by the business tycoon to support Russian soccer has fulfilled its objectives of improving infrastructure and setting up new training centers for talented players. News that the owner of London's Chelsea FC, Roman Abramovich, will no longer fund Russian soccer projects was confirmed on Aug. 27 by John Mann, a representative of Millhouse (a company controlled by Abramovich). "This concerns the activities of the National Football Academy (NFA) Fund, which is discontinuing its operations," said Mann. "This news is hardly surprising," said Sergei Kapkov, chairman of the NFA board. "We have fulfilled all the objectives that were set for the NFA: We have created the facilities, and the training system has been developed with the help of Dutch coaches. Now there is no need for the level of funding that we had in the early stage." The activities of the NFA have given a lot to Russian soccer. For several years, this money has been used to fund the building of about 130 fields with artificial surfaces and to support various training programs for children. The annual budget of the fund was about 1 billion rubles ($30.1 million), of which the NFA has spent 150–200 million rubles ($4.5–6 million) for these purposes. The most famous NFA project was completed back in 2010, when Guus Hiddink left the position of head coach of the Russian national team. The Dutchman, as well as his entire staff and the coaching staff of the Russian junior teams, received salaries from funds transferred by the NFA to the Russian Football Union (RFU) as donations. The amount of money used to fund all the teams annually by the NFA totalled over €20 million ($26.4 million); according to unofficial information, Hiddink’s alone was €7 million ($9.2 million). However, after Sergei Fursenko became head of the RFU—he left this position after the Euro 2012 tournament was over—Gazprom-owned companies became the main source of funding for the organization. Since then, the NFA has focused mainly on two less prominent projects: constructing football fields and supporting the Konoplyov Togliatti Football Academy, which in recent years has become one of the most effective specialized training centers. For example, Alan Dzagoyev, the midfielder for CSKA and the Russian national team, is a graduate of the Konoplyov Academy. 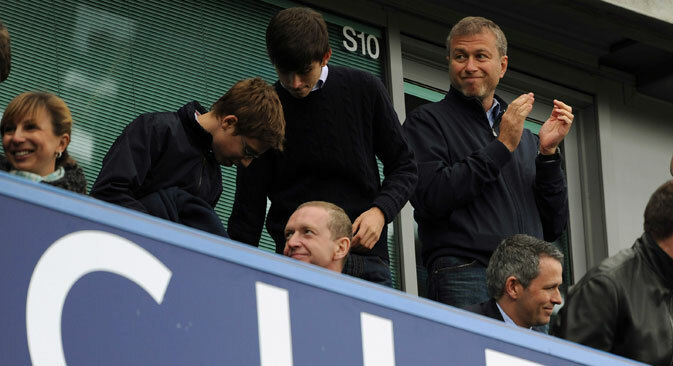 Roman Abramovich remains the owner of London's Chelsea FC, where he spent more than £120 million ($185 million) in the first season following acquisition of the club. At the same time, according to Forbes Magazine, the businessman has refused to fund the preparations for the 2018 FIFA World Cup to be held in Russia.